What is your favourite Sydney attraction? Sydney has so many iconic buildings and places, it's hard to chose. Where Sydney attraction do you like best when you're acting like a tourist? I'd have to say The Rocks, because you get so much of Sydney that way. 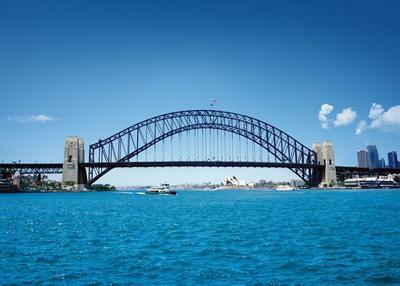 You get Australian history, Sydney lifestyle, views of the harbour, Opera House and Bridge... It's a spot I always take visitors when they come to Sydney, and everyone loves it. Love both the Sydney Opera House and the Sydney Harbour Bridge equally. Both were built around 30 years apart. Love walking the bridge to Kirribilli. It only takes four smallish screws to hold the Sydney Harbour Bridge. The pylons are there to keep people at ease. The Opera House is my favourite, and I always love to walk through the Centennial and Botanic Gardens, and take a few snaps with my trusty Nikkon :) I also think St. Mary's Cathedral is beautiful. Sydney has so many wonderful destinations, it's hard to pick one as the best! Bit personally, I love Taronga Zoo in Mosman. But then, I also love the wildlife Sydney zoo and Sydney Aquarium in Darling Harbour. These are all animal-based activities though. Other places I have enjoyed include beaches like Bondi and Manly (beaches), and Cockatoo Island on Sydney Harbour. The beauty of Sydney compared with many other tourist cities in the world is that way all the attractions seem to fit together to make a whole. With visitors come to Sydney I usually take them for a walk that goes from Hyde Park, up to the Art Gallery and through the Botanic Gardens. The Gardens themselves are a great attraction as you have the Wollemi Pine (a plant dating back to the days of the dinosaurs), Mrs Macquarie's Chair as well as harbour views, including the Opera House and the Bridge. What is more it integrates into a complete walk that then will take you past buskers at Circular Quay down to the rocks and beyond.